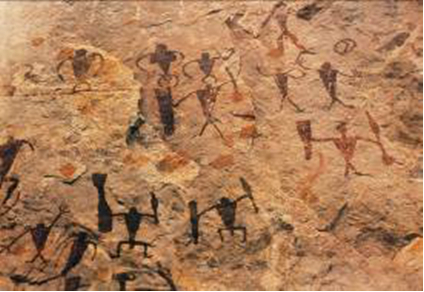 The Emergence of Early Sports Like other forms of culture, such as science, arts, education and religion, sport as a social phenomenon first appeared in human history together with productive, recreation and military activities –in the form of archery, dance, boxing and ball games, to mention but a few. 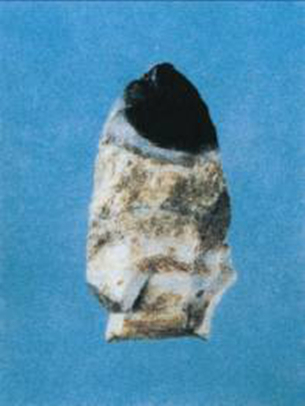 A stone arrow head in the Old Stone Age, dating back to 28,000 years age and excavated in Zhiyu, Shanxi Province, as the earliest of its kink ever found in China and the whole world. 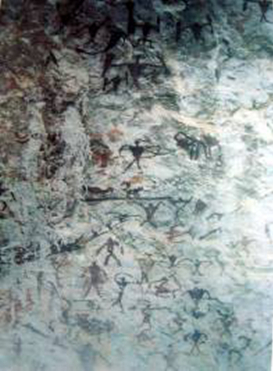 Hunting in a rock painting, ibid, showing archers aiming at animals. 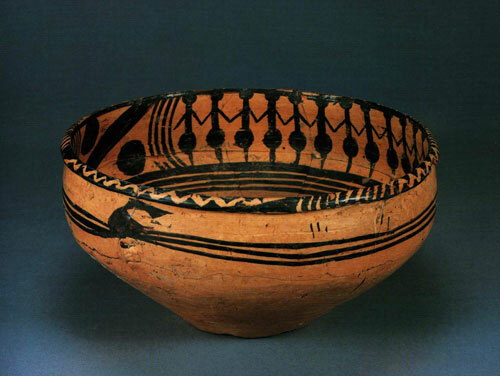 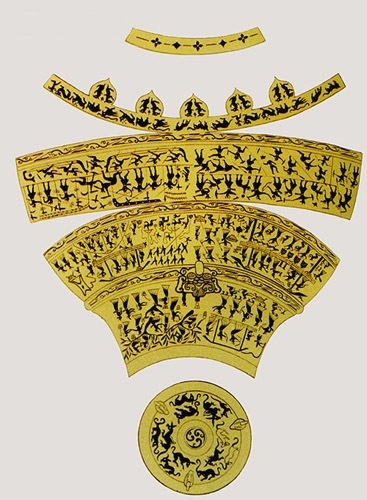 A pot with a design of health-oriented dances, unearthed in 1973 in Datong County, Qinghai Province, dating back to the New Stone Age and belongings to the pre-history Mariana Culture.